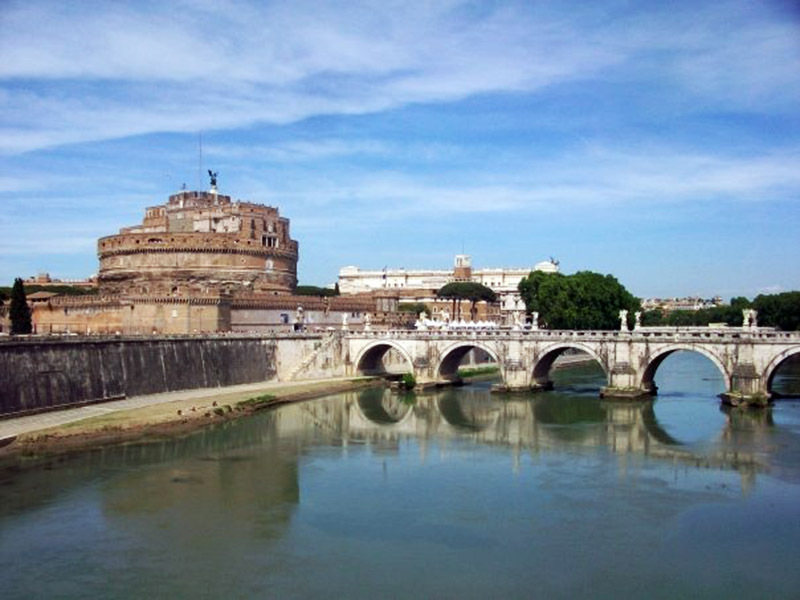 A Rome-based Italian-American journalist, Katie Parla lives and breathes Roman culture and cuisine. Originally from New Jersey, Parla graduated from Yale with a degree in art history, before pursuing a sommelier certificate and master’s in Italian gastronomic culture. She’s written and edited more than 20 books, including the ebook Eating & Drinking in Rome, National Geographic’s Walking Rome and a brand new cookbook Tasting Rome: Fresh Flavors and Forgotten Recipes from an Ancient City. 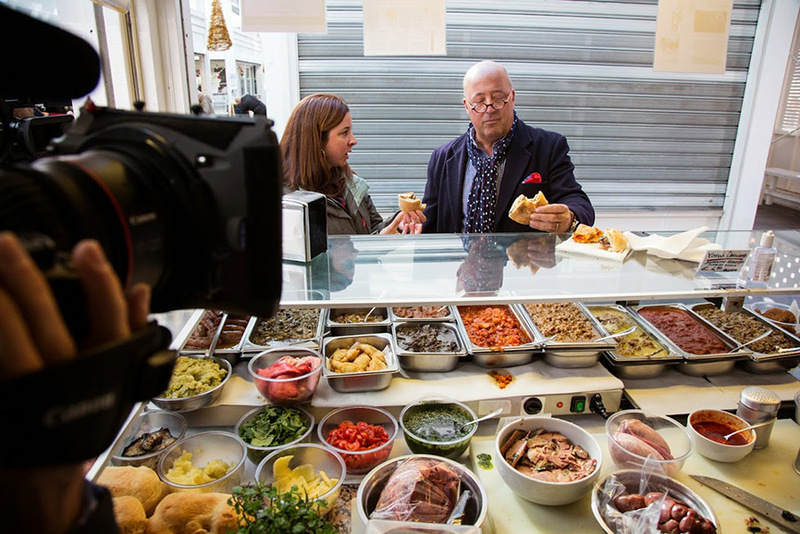 An expert on Italian food and drink, she was also my trusted food guide when we filmed Bizarre Foods in the Eternal City. Below, Parla shares a few favorites in her adopted hometown, including the best Roman comfort food, lasagna and espresso, plus tips on how to see the city’s ancient history without the crowds. Get the recipes for Cacio e Pepe and Vignarola from Tasting Rome by Katie Parla and Kristina Gill. This family-run trattoria in a residential corner of Trastevere is one of those rare spots that treats locals and visitors alike with equal affection. I love going on Fridays when there are fish specials like spaghetti alle vongole veraci (with clams), but I’m equally obsessed with the carnivorous offerings throughout the week like roasted brisket and suckling pig. I never miss the lasagna, served most Sundays until it runs out. I spend a lot of time in eastern Rome around Pigneto, Centocelle, and Tor Pignattara and this place is my favorite place in the area for a rough and ready Roman meal. The menu, which is written on movable chalkboards, circulates through the osteria and recounts the day’s specials. If you’re into horse, visit on Tuesdays when pannicolo (outside skirt steak aka diaphragm) or Thursdays when salsiccia di cavallo (seasoned sausage) are served. 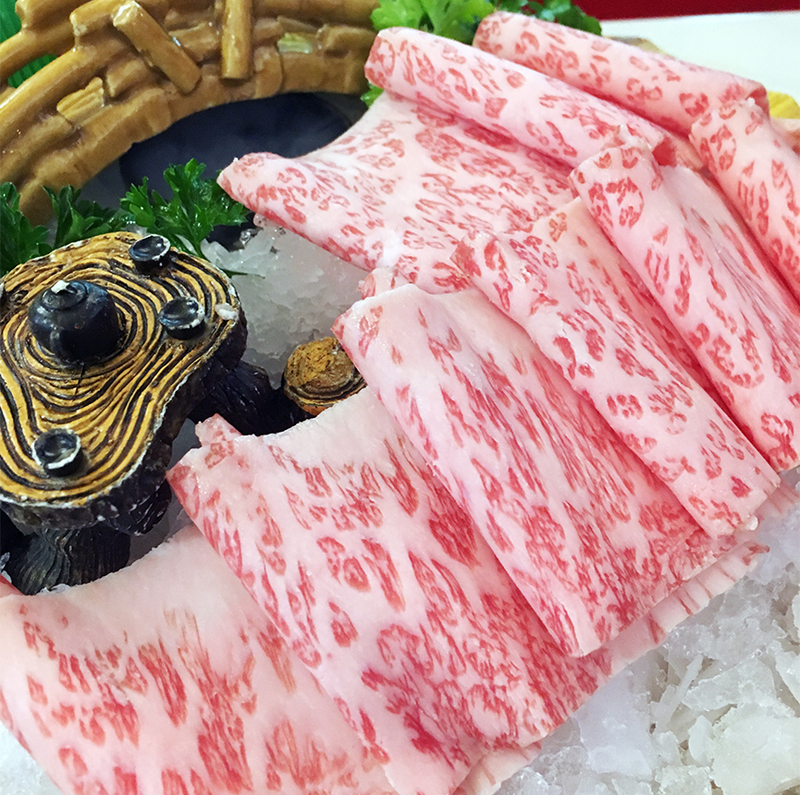 Tuesdays and Fridays see a predominance of fish. And there are always lots of veggie side dishes; owner Patrizio Bonelli used to be a produce vendor in Monti. This is my go-to spot for breakfast whenever I’m in the center. The espresso is excellent and far more thoughtfully made than it is anywhere else in town. Sometimes I’ll opt for a pour over, a rarity in Rome. My favorite breakfast pastry is the maritozzo con panna, a sweet bun filled with whipped cream, but if I happen to swing by at lunchtime, I order the Club Sandwich, house-made bread layered with guanciale (cured pork jowl), tomato and a fried egg and slathered with a sweet, sour, and slightly smoky sauce. It may not be Roman, but it’s delicious. As the name implies, Armando al Pantheon is located close to Rome’s best-preserved ancient monument. 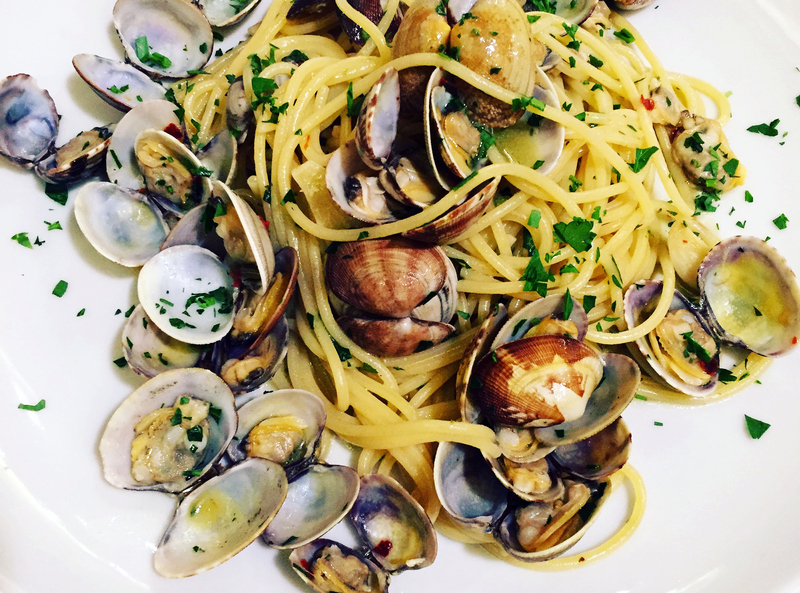 Armando’s sons are now at the helm and this family-run trattoria has been serving Roman comfort food to a loyal following for more than 50 years. This is where I go for simple and satisfying pasta dishes like spaghetti alla gricia (made with guanciale, black pepper, and Pecorino Romano) and for seasonal offal like pajata alla piastra (grilled intestines of suckling veal) and coratella (a stew of lamb’s heart, lungs, liver with artichokes). Following the success of Pizzarium, his landmark pizza by the slice joint, Rome’s premier dough master Gabriele Bonci opened a classic bakery just a few blocks north of the Vatican. 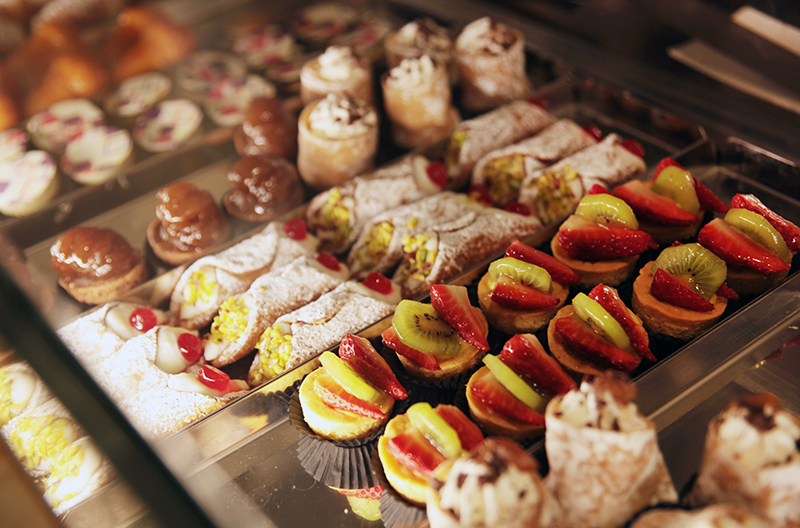 It has all the items you might expect at a Roman bakery—except everything is made with much higher quality ingredients than you typically find elsewhere. 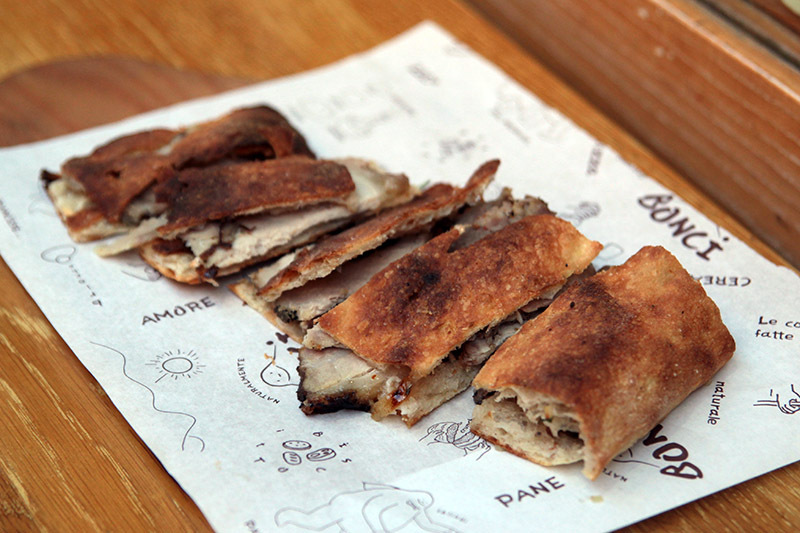 I drop in for loaves of sourdough made from locally milled wheat and never miss pizza con la porchetta (the local flatbread filled with slices of savory roasted pork), which I eat outside on the sidewalk (there’s no seating or table service). The roasted chicken, which is packaged with potatoes for takeaway orders, is one of the most delicious dishes in town and surpasses anything you might find at a restaurant. Saturdays are relatively mellow traffic-wise in Rome, so this is the day I reserve for long, urban runs. I’m not really one for leisurely jogs in the park (though Rome does have gorgeous public spaces like Villa Pamphilj and Villa Ada if you’re in search of a green backdrop) and I prefer to hit the cobblestones to explore the city’s neighborhoods, old and new. My favorite loop starts with a warm-up through Renaissance-era Trastevere, followed by a mile or so along the Tiber before crossing the river to the industrial Ostiense zone. From there, I follow the Aurelian Walls counter-clockwise to San Giovanni, Rome’s Cathedral, then descend Via San Giovanni in Laterano towards the Colosseum. Energy permitting, I may run up and down the Capitoline Hill, or take a flat path through the Circus Maximus and back to Trastevere. It’s a fun tour, which can also be done walking for a diverse survey of the city. So many of Rome’s visitors are only in town for a day or two so places like the Colosseum, Forum, Trevi Fountain, and Spanish Steps are nearly always packed. But getting away from the crowds is incredibly easy, even in the center of town. 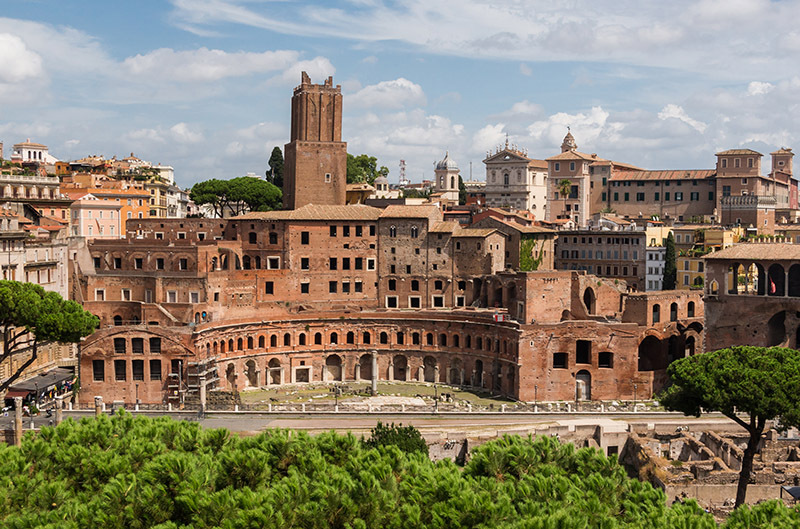 Trajan’s Markets overlook the city’s archeological center and have shockingly few visitors. The Baths of Caracalla, a short walk from the Circus Maximus, attracts few tourists to its spectacularly vertical ruins. Even the Palatine Hill, which is included in the Forum-Colosseum combo ticket is rarely ever crowded. The Vatican Museums are my idea of hell and particularly over the past few years, they force more visitors through the buildings’ 16th century doorways than should legally be permitted. And don’t get even get me started on the criminally crowded conditions of the Sistine Chapel! Seeing masterpieces by the very artists whose works embellish the Vatican’s walls doesn’t have to be miserable. Places like the Villa Farnesina, Santa Maria del Popolo, and Santa Maria Sopra Minerva all offer artwork by masters in relative tranquility. 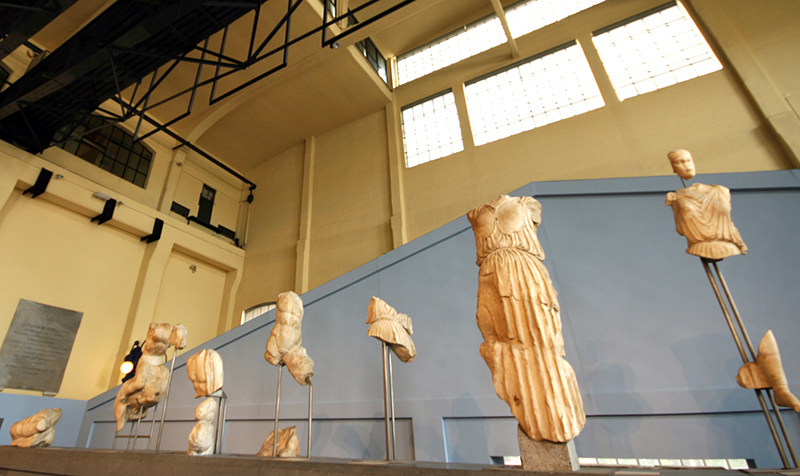 For ancient sculpture and mosaic fans, Centrale Montemartini and Palazzo Massimo alle Terme offer stunning collections without the crowds. And there’s nothing quite like soaking in the frescoes at Palazzo Massimo solo. 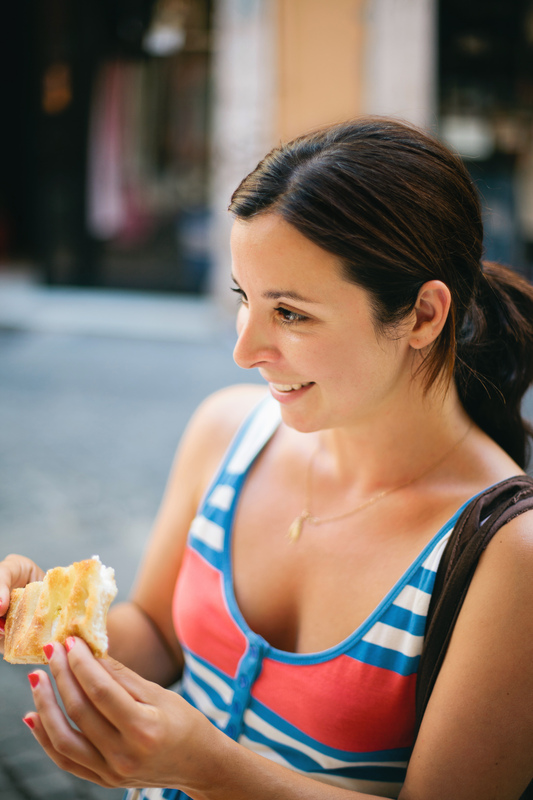 Katie Parla is a Rome-based food and beverage educator and journalist. Originally from New Jersey, she settled in Rome in 2003 to pursue wine and food studies. 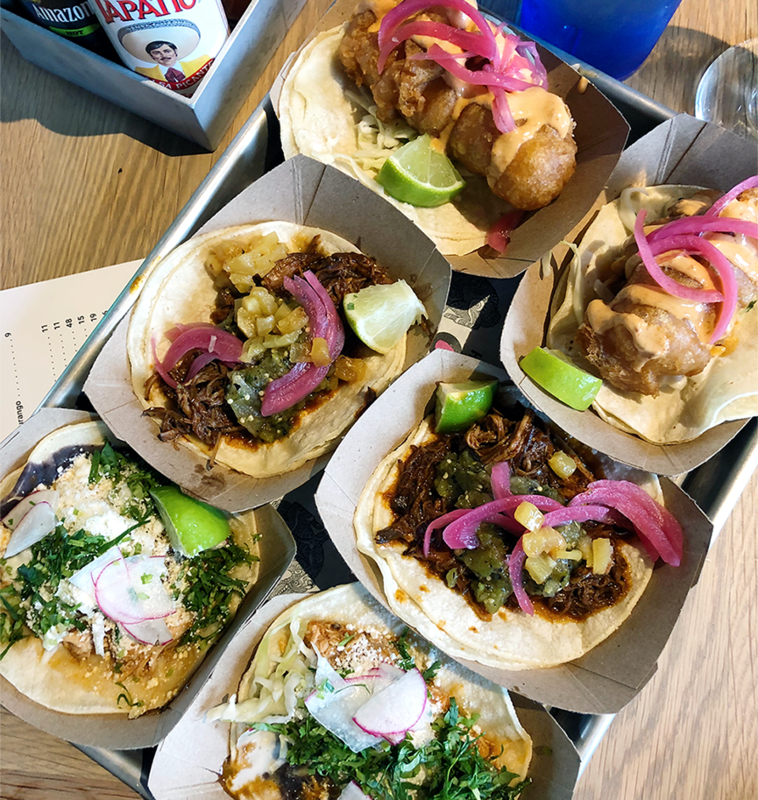 Katie’s mission is to highlight great food and beverages, praise the people dedicated to feeding us well, and to get readers talking about what they are eating and drinking. She focuses special attention on Rome, where she lives, threats to local food culture, and critical reviews of restaurants and trends. She has written and edited more than 20 books and her food criticism and travel writing have appeared in The New York Times, The Guardian, The Financial Times, Saveur, Food & Wine, Condé Nast Traveler, and more. Katie is the author of the ebook “Eating & Drinking in Rome” (available for Kindle, Nook, and in PDF format), the mobile apps “Katie Parla’s Rome” and “Katie Parla’s Istanbul”, and the book National Geographic’s Walking Rome. Her cookbook, Tasting Rome: Fresh Flavors and Forgotten Recipes from an Ancient City (Clarkson Potter) is in stores now.